Tonight's paintings. I only had one student, Kay Ethridge. 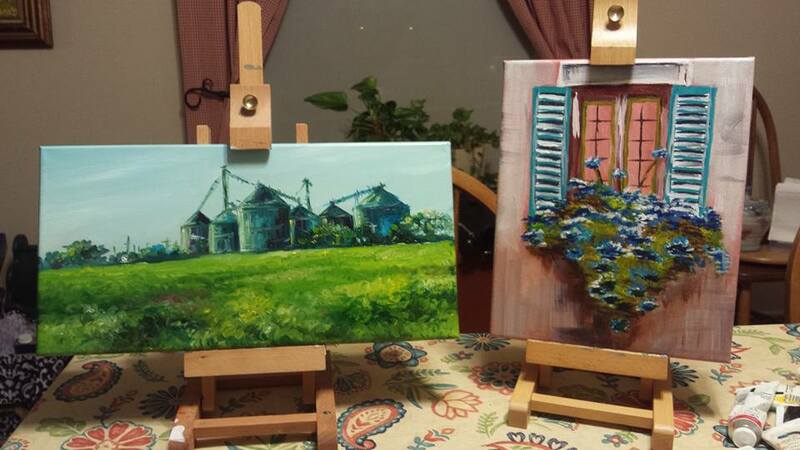 The teachers painting is on the left and Kay's painting is on the right. On the left, oil on canvas from a photo I took. Silos in Zabcikville. 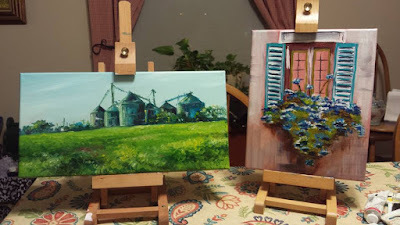 On the right, acrylic on canvas from a photo. A relaxed and therapeutic time. Come join us! !